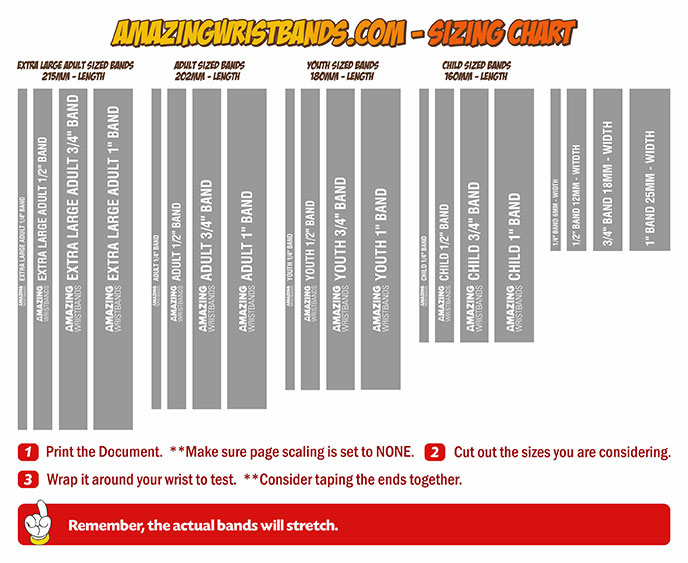 Amazing Wristbands are available in four major sizes: Small, Medium, large and extra-large. Small wristbands are for Child and usually 7 inches long. Medium size is for Youth, normally 7.5 inches. The large size is a universal size generaly for Adults and is 8 inches long. The extra-large size (8.5 inch) is available on the customer's request. The designing options are provided according to the customer's order.